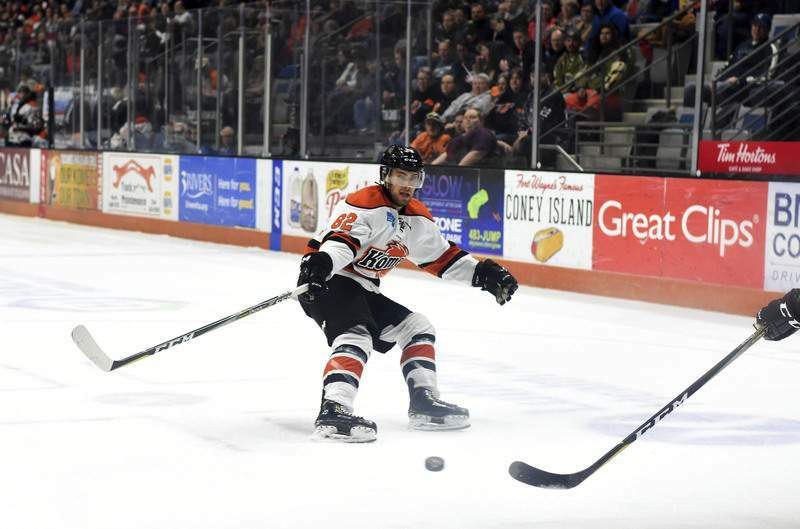 Photos by Katie Fyfe | The Journal Gazette The Komets' Mason Baptista carries the puck during the first period of Friday night's game against Cincinnati. 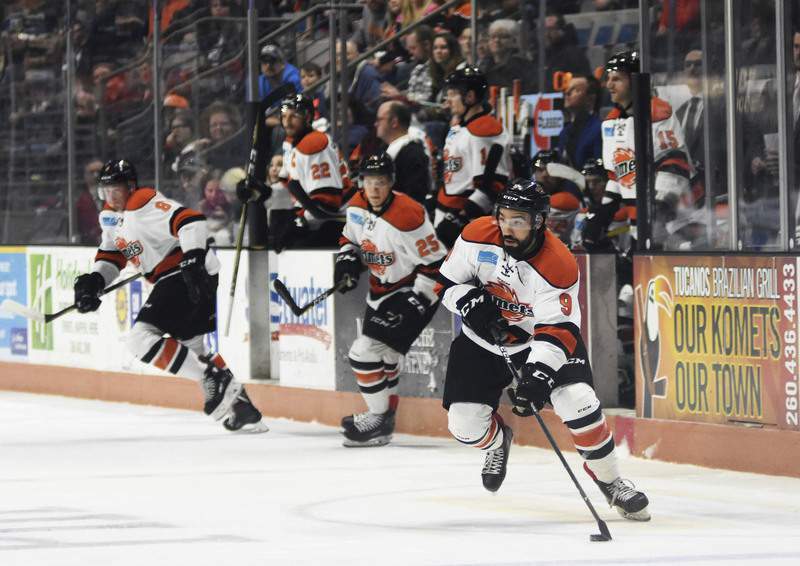 The biggest body check of the season was doled out when Josh Elmes crushed the ECHL's leading point-scorer, Jesse Schultz, so hard that Schultz was taken entirely off his feet and pinned horizontally against the Memorial Coliseum glass. 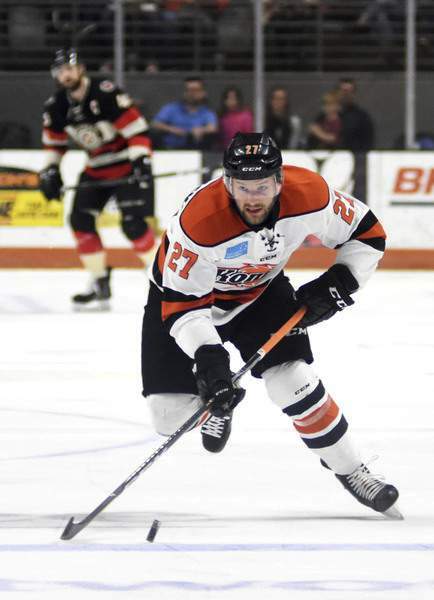 And that's how it's been going for the Komets lately; they'll do something great but not get the result they want. 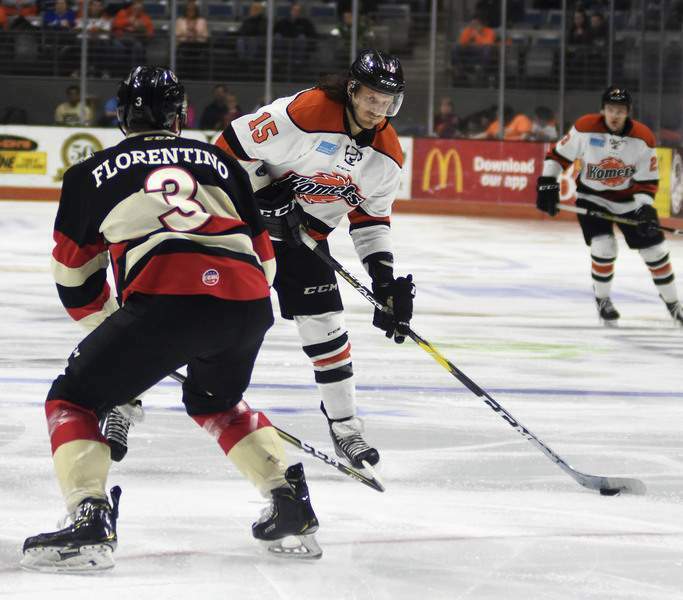 Fort Wayne's Eric Levine stopped 19 shots but gave up two goals on breakaways in the second period, when Ben Johnson steered around Sean Flanagan for a 2-1 Cyclones lead and Myles Powell made it 3-1 by blocking an Elmes shot and going the length of the ice for a goal. 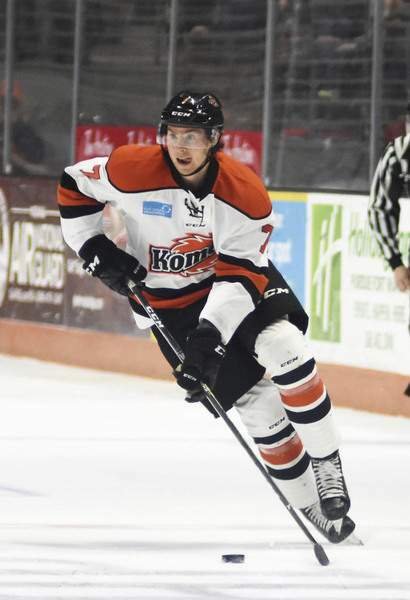 Fort Wayne's Brady Shaw scored off the rebound of an Anthony Petruzzelli shot in the waning seconds, too late for the Komets to avoid back-to-back losses on home ice. 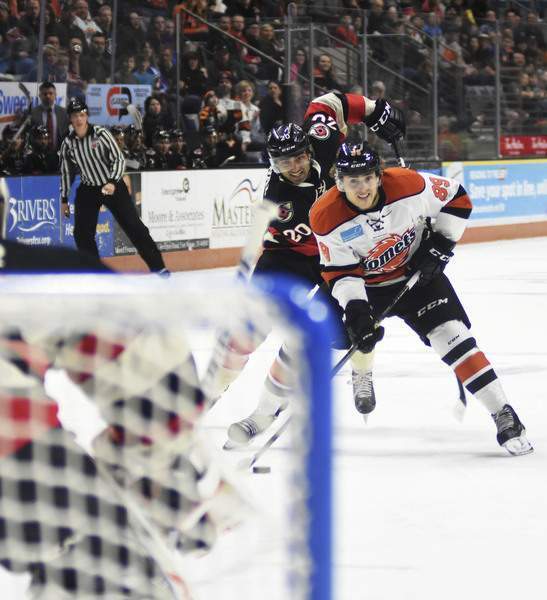 Fort Wayne remains nine points back of the Toledo Walleye for second place in the division. 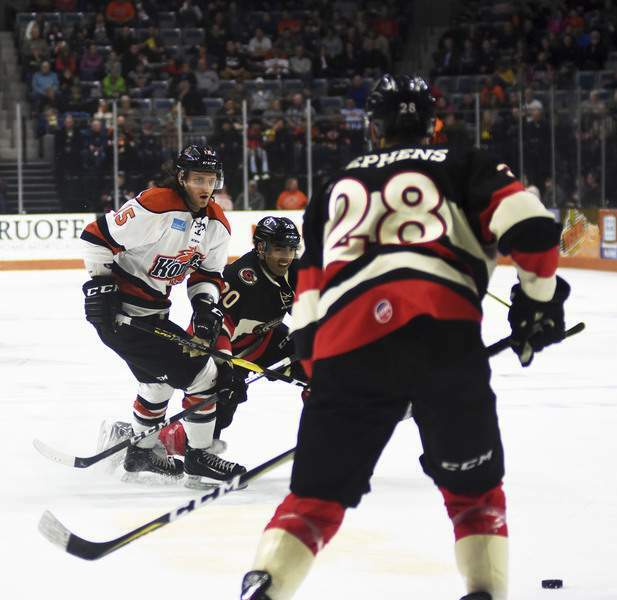 Toledo has lost two of its last three games, but the Komets (31-23-9) haven't been able to capitalize and remain only one point ahead of Kalamazoo with nine games left in the regular season. Nellis helped set up Campagna for a power-play goal from the left circle, the same spot Cincinnati's Mike Marnell scored from to tie it at 1. Fort Wayne scored on 2 of 4 power plays and Cincinnati was 1 for 3. “I loved (the new players) and that's what we need more of – guys who come in, buy in, skate hard and don't take dumb penalties,” Graham said.